Posters and prints now available at my RedBubble store!! This was done for Rhys McDonald's cheesecake pinup comic, 'Last Call for Sin' which is being released soon down here in Oz. 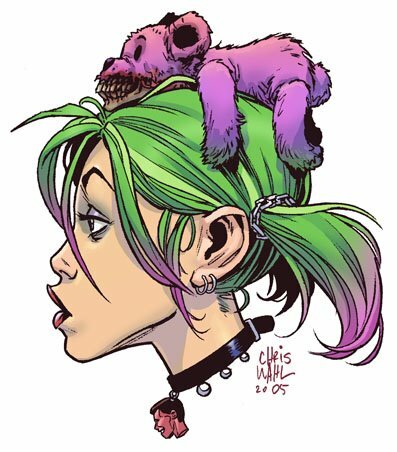 I make a guest appearance in this pinup as the shrunken head pendant. The inspiration for this piece came from one of my older drawings, DedTedHed. Inked with felt tip pens (Artlines 0.4, 0.6), with a little bit of brushpen on the hair. 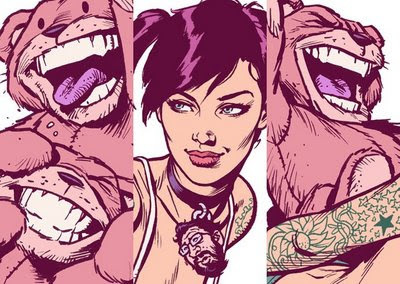 Coloured in Photoshop. 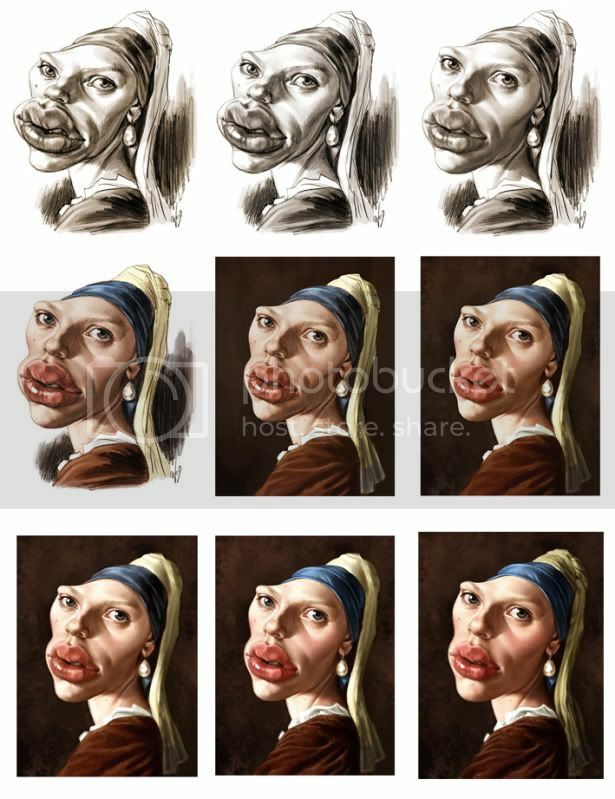 A caricature of actress Scarlett Johannson as she appeared in the movie, 'Girl with a Pearl Earring' (who's movie poster was based on Vermeer's 17th century painting of the same name). You can see the various transformations my piece went through from initial pencil sketch to finished painting, here. This is the piece I wanted to create back in December for Bettie Page's tribute but at the time I only managed a simple cartoon. So it's a little late to be a tribute, but anytime's a good time to draw Bettie. Expect more soon. Here's a link showing the pencils and the halfway stage on the colours.